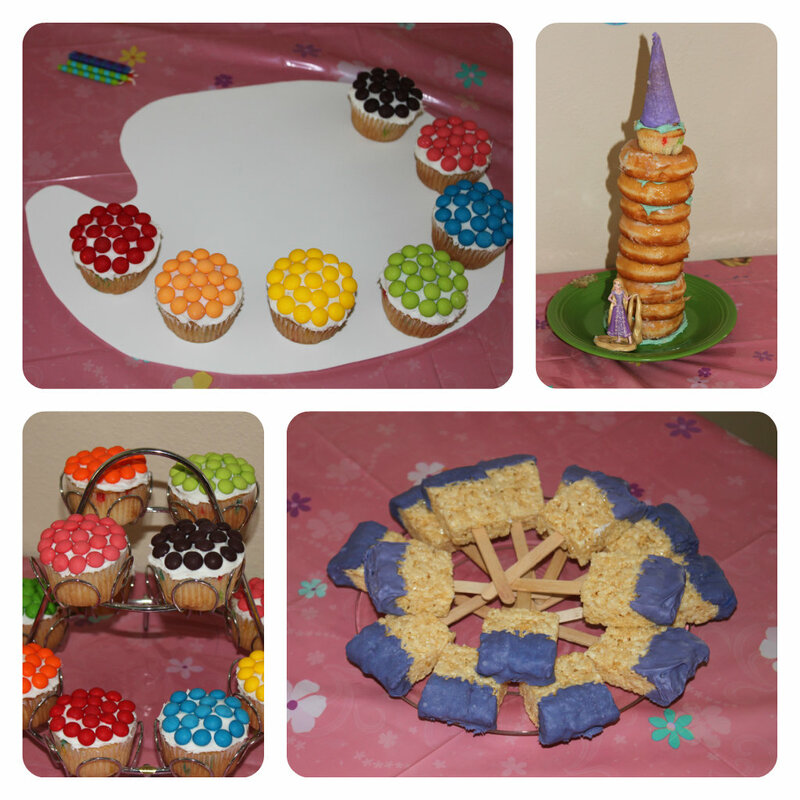 When my niece turned 6 a couple months ago my sister threw her the coolest Tangled art party! 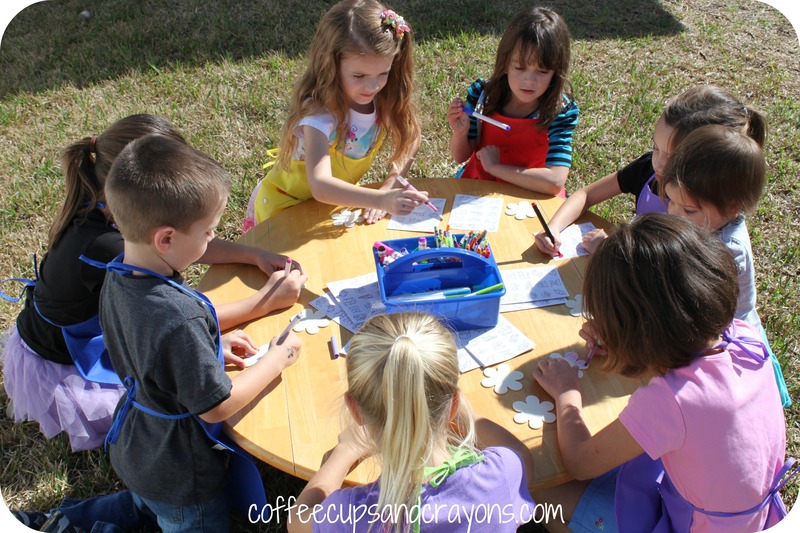 They planned tons of fun activities and we had a blast! When the kids arrived they each got to decorate their own art smock and play pin the bow on the braid. 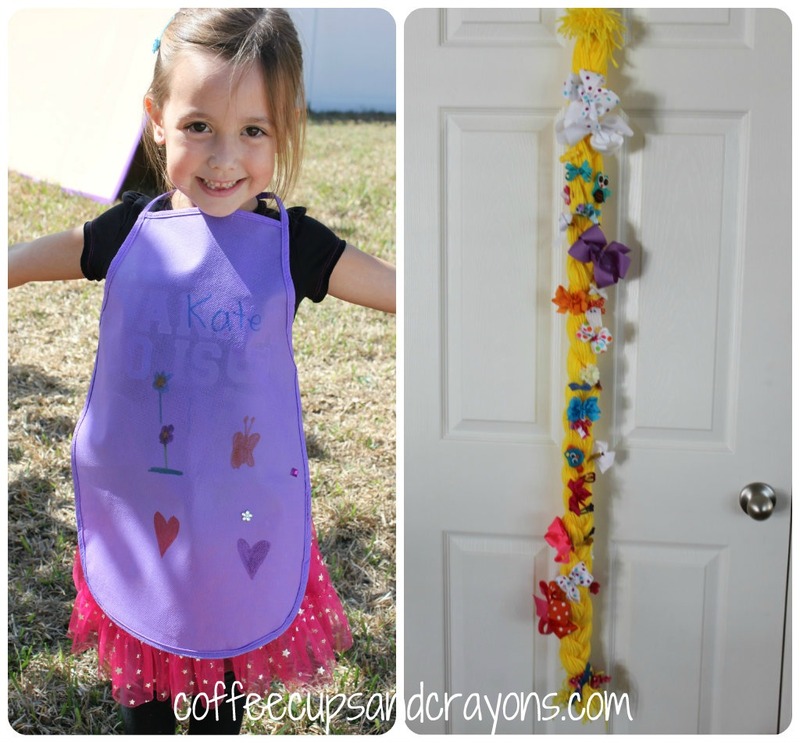 The yarn braid is not only a fun party game, but would be a great place to store clip and ribbons in a bedroom or bathroom. Once the smocks were ready they put them on and headed out back to make a huge group mural on huge inside-out cardboard boxes. They also made rings, decorated flower magnets, and each got to paint their very own canvas to take home! And how cool was this lunch??? 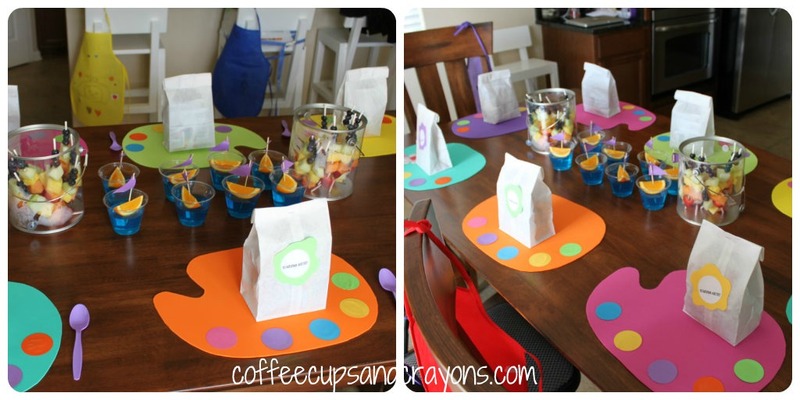 The kids each got their own “starving artist” bag lunch, paint brush fruit kabobs served in a paint can, and orange slice boats on Jell-O water! All served on artist palette placements my sister made out of foam sheets! Instead of a traditional cake my sister made Rapunzel’s tower out of glazed donuts, a cupcake, and a frosted waffle cone! There were also artist’s palette cupcakes and paint brush rice krispies treats! A fabulous party for the sweet little 6 year old! that is such a great party idea!!!! The cupcake color palette is beautiful and pin the bow on the braid? Genius! The kids definitely had a blast! Anything that involves painting is always fun, but even better when you can eat it! It was lots of fun! 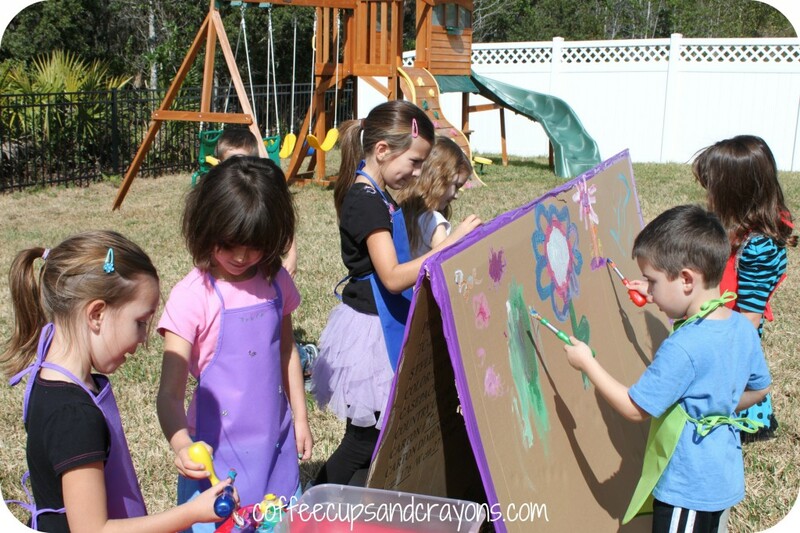 Art outside with friends is always a good time! Thanks so much for stopping by! I love this party!! Can I pin it? Of course! Pin away! And thanks!! !